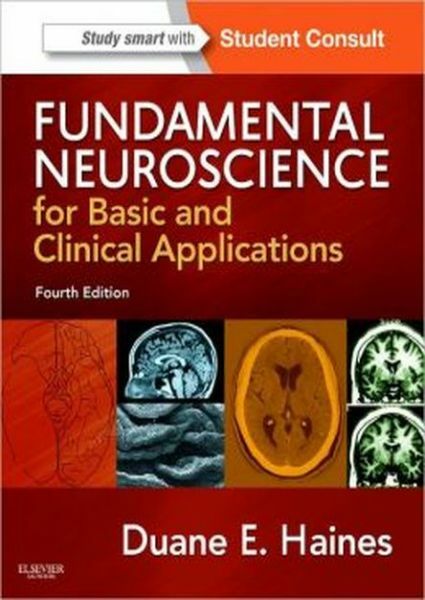 Turn to Fundamental Neuroscience for a thorough, clinically relevant understanding of this complicated subject! Integrated coverage of neuroanatomy, physiology, and pharmacology, with a particular emphasis on systems neurobiology, effectively prepares you for your courses, exams, and beyond. Easily comprehend and retain complex material thanks to the expert instruction of Professor Duane Haines, recipient of the Henry Gray/Elsevier Distinguished Teacher Award from the American Association of Anatomists and the Distinguished Teacher Award from the Association of American Colleges. Grasp important anatomical concepts and their clinical applications thanks to correlated state-of-the-art imaging examples, anatomical diagrams, and histology photos.Retain key information and efficiently study for your exams with clinical highlights integrated and emphasized within the text.